يقع Abbott House Sumner Bed & Breakfast في سامنر, كرايستشرش, هو خيار شائع بين المسافرين. يجذب هذا الفندق ذو 4 نجوم، والذي يبعد 15 km فقط عن وسط المدينة و 23 km عن المطار، الكثير من الزوار سنوياً. كما يمكن الوصول بسهولة إلى Sumner Beach, Art Nomad, ‪Clifton Hill‬. كما يقدم Abbott House Sumner Bed & Breakfast الكثير من الخدمات لإغناء رحلتك في كرايستشرش. يقدم هذا الفندق العديد من الخدمات الكفيلة بإرضاء أكثر الضيوف تطلباً. ادخل إلى واحدة من الغرف 2 وتخلص من عناء نهار طويل بمساعدة مجموعة كبيرة من الخدمات كمثل تلفزيون بشاشة مسطحة, اتصال لاسلكي بالإنترنت, اتصال لاسلكي بشبكة الإنترنت (مجاني), غرف لغير المدخنين, تدفئة الموجودة في بعض الغرف. إن رياضات مائية (غير آلية) هو المكان الأمثل في الفندق للاسترخاء وتفريغ طاقتك بعد نهار طويل. إن كنت تتطلع إلى إقامة مريحة وهادئة في كرايستشرش، فستجد في Abbott House Sumner Bed & Breakfast بيتك الثاني. يُرجى من النزلاء الإشارة إلى موعد وصولهم التقديري في قسم الطلبات عند الحجز. 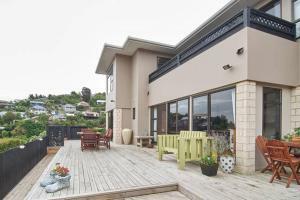 Easy to find, close to the beach and local amenities. Good communication, clean room, good breakfast items provided. No issues at all. Owners are friendly and helpful but this place is far from town and on a street with enough traffic to wake us up at 7:00 am. It is a bedroom community to Christchurch and the house is only a block from a nice beach, but there is limited shopping & restaurants (almost all closed on Mondays) nearby. 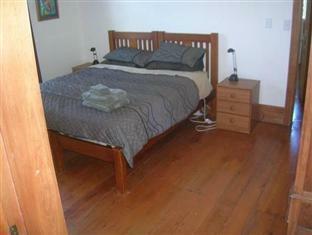 This place is fine for those who want a house close to the beach or have a car to get down to town. Little things like instant coffee (rather than real plunger coffee) and no soap for the shower were disappointing. Had a great 3 nights stay in this beautiful house. It was very quiet and relaxing. The beach was across the road and you could get to the village via the promonade in 5 mins. Highly recommend fish and chips on the beach and of course an ice cream after. We told Max the owner that we had problem with the flight and would only arrive after midnight. At 2 am when we finally arrived we found that he left light on in our room, set up the sofa bed for our daughter and that was very thoughtful of him to provide us comfort after such a long distressful day. 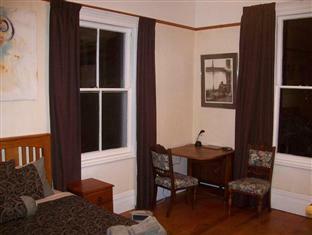 The rooms, beds - everything are just excellent, top quality with homey feeling. Combined those with such an amazing service - of course we will come back and stay there again. Excellent location and Chris the owner was very helpful. The freshly baked bread was a big surprise. Location. fairly private outdoor area at front. Parking. We loved our stay at Abbott House - the location and facilities we're fabulous, right down to the homemade bread baked especially for us. Chris, the host, was very accommodating and pleasant at all times. The location is perfect and everything you need is only a short stroll away. Would definitely recommend to others. Wir waren 10 Tage in Sumner und haben die Tage sehr genossen. Sehr freundliche Vermieter-wir haben uns sehr wohl gefühlt und werden uns an die Zeit in Sumner immer mit einem warmen Gefühl errinnern. 바닷가 한블럭 뒷쪽 골목인데 걸어서 5분 밖에 안걸립니다. 조용한 곳이구요. 바닷가 산책하기 좋고 서핑 하실줄 알면 서핑하세요. 봉고차 세워두고 빌려주고 강습도 바로 신청하는 거 같더라구요.